The only issue I have is that the title, as well as the back cover, are completely misleading. 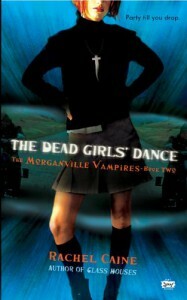 I liked this book but the Dead Girls Dance is such a small and almost insignifigant part that I can't help but wonder if the person who wrote the synopsis even read the book. All of that aside, I enjoyed it quite a bit and have ordered the next few in the series.